The following article was written by Ryan Messer. Messer lives in the Yakima Valley and writes about travel and wine tourism in the valley and throughout the state. Read additional background here. I am a Yakimanian. And beyond that, I'm a Washingtonian. I escaped for a few years, but realized first that my home state, and eventually my hometown were, in fact, home. Like me, many young adults are ready to turn their back on the city they were raised in. Eventually, that new beginning we all search out might be right back where we started. It was for me, anyway. Over the years, I've learned more about my surroundings but found things I'm more passionate about than others. I appreciate knowing that we grow more apples in Washington than the other 49 states combined. It’s fascinating that the Yakima Valley is the number two hop growing community in the world. But the grapevine is where my heart grows fondest. And I now live at the front door to thousands of acres of vineyards that provide the key ingredient to the nectar of the gods. I've had an affinity for wine for years. It's continually grown since wine first touched my lips in the 80's. Many of those early tastes were from Washington wineries. My folks knew many in the industry. These people educated them, and that education was then passed on to me. I’ve never given much thought to how it all started for me, or my folks for that matter, until now. The interesting thing is that it’s more of a place, not just an individual. 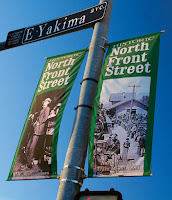 North Front Street in Yakima was the catalyst. Well before my legal drinking age, Lenore Lambert opened a quaint little shop in 1978 in the basement of the Lund Building called The Wine Cellar. She was the first one to really change the block that had previously been known for old saloons, drugs and prostitution. She showcased wines from the Valley and across the globe and hosted frequent tastings. 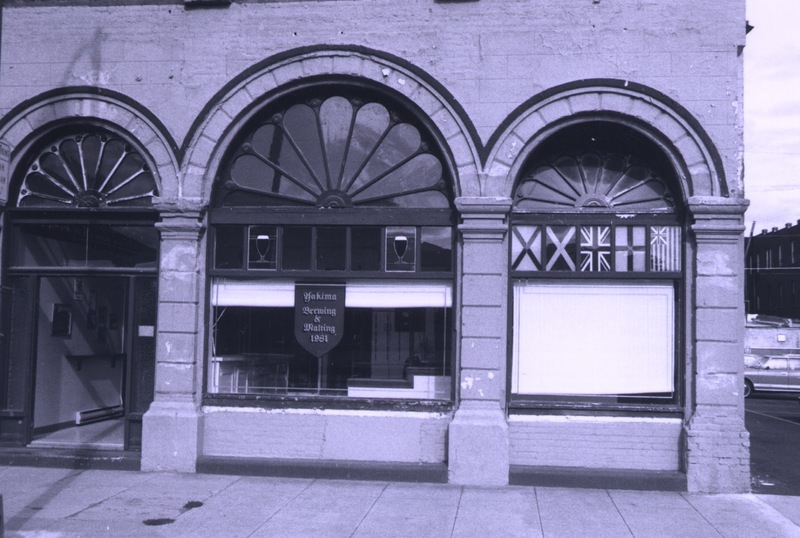 In 1982, Bert Grant opened the first brewpub of the post-prohibition era only a stone’s throw away in the old opera house. He only served his beer at first, but Bert had a passion for most adult beverages, including wine, and typically shared his bottle(s) and knowledge. Gayla Games and Nancy Beveridge then opened the Greystone restaurant in 1983, just upstairs in the same building as The Wine Cellar. With fine dining finally being offered, as well as a great wine selection, the street had transformed from it formidable past. But it didn’t stop there. Dr. Wade Wolfe and Becky Yeaman opened Thurston Wolfe Winery just north of Grant’s in the old city hall building in 1987. There was some restructuring after that with Grant’s moving across the street to the old train depot, numerous restaurants that have come and gone and the addition of Bob’s Keg and Cork. Bob has offered fine wine by the glass or bottle since opening in 1998. While none of these establishments were exclusive to Washington wine (aside from Thurston Wolfe), they supported the locals. They understood that what was good for the Valley’s wine industry was also good for them. My folks were friends with these visionaries and learned from them just as I subsequently learned from my parents. They supported those around us, and I've continued that tradition. Grant’s and The Wine Cellar may be but a memory and Thurston Wolfe is now in Prosser, but North Front Street is as vibrant as ever. Gilbert Cellars and 5 North restaurant are now in the Lund Building and Café Melange is in the old saloon just north of them. These places now educate and inspire the next generation of wine lovers. For those outside the area, plan a visit to Yakima Valley this year. 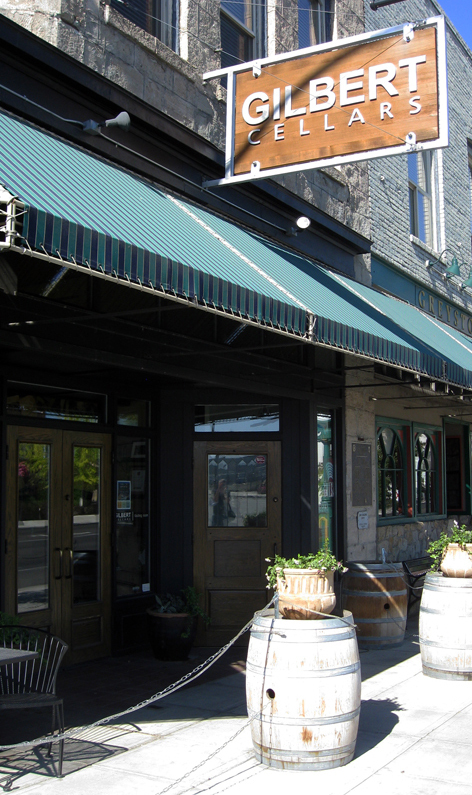 Enjoy tastings throughout the Valley and a stroll down Front Street. See why I love to call this place home. Nice article, Ryan. Thanks Sean for publishing it. 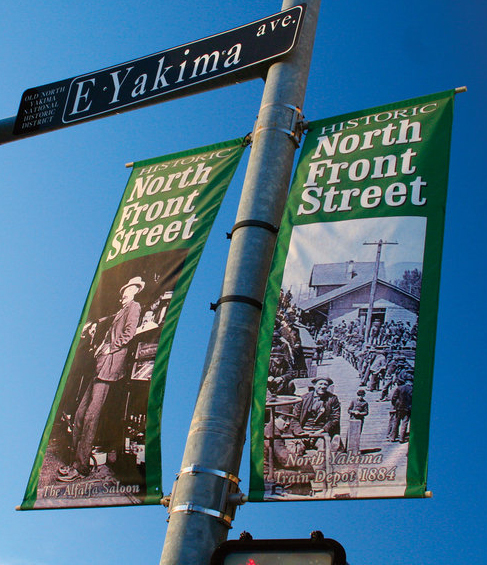 As a relatively new Yakimite, it was fun to read about some history of North Front St. Thank you Chris! Glad you enjoyed it and thankful for Sean to give me an opportunity to contribute. I suggest you do a search for Lenore Lambert. I was amazed at all she was involved in as it seemed she supported issues that spanned political and social spectrums. And she was one of many that put Front St. on the map. Thanks again, I hope you enjoy next months column as much.